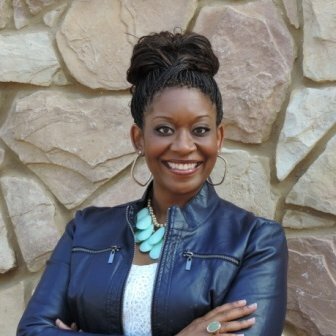 Tracy Williams, MS, is a Senior Consultant for Leath Group, LLC—a dynamic curriculum development and intellectual property greenhouse that grows leaders and shapes cultures. She is also daughter and dreamer. Sister and spitfire. Auntie and activist. Friend and feminist. She’s a recent Houston transplant who spends her days influencing people to lead themselves and then lead others. Her employers include Chevron, University of Texas, and herself, as she launches The EmP.A.C.T. Company this year. Tracy's favorite topics of discussion include Team Dynamics, Conflict Management, Communicating with Conviction, Career Development, and Leading & Influencing Others. Personally, Tracy has been honored to inspire and motivate youth and young adults to pursue personal excellence at conferences, workshops, universities and school districts across Texas. Additionally, she is a contributing writer for Elisia Magazine, where she provides advice on how to balance your corporate climb with your spiritual walk. Tracy holds a Master of Science in Communication & Human Relations from Texas Christian University and frequently volunteers her services to non-profit organizations including: Journey of a Young Lady, Texas Spring Cypress Chapter of The Links, Incorporated, and National Black MBA Association of Houston. She frequently indulges in laughing, creating light bulb moments, debating current events, traveling, pretending she’s a great singer, and spoiling the cutest kids on earth that don’t belong to her.